Treating most stringent molasses based distillery effluent to discharge standard in Carebbian Region. 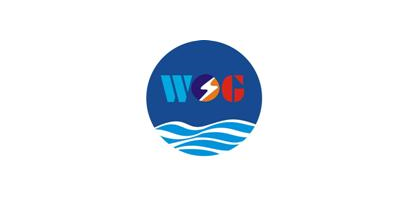 A waste water treatment project for a Distillery in Caribbean region where W.O.G Group will be treating most stringent molasses based distillery effluent, as per local’s discharge norms. Treatment process will achieve waste water as per local discharge standards i.e. COD < 250 ppm, BOD < 30 ppm and TSS < 20 ppm. W.O.G has proposed construction material for tanks as ‘Glass Fused to Steel’. Energy: The use of the anaerobic digester as a pre-treatment before the Activated sludge treatment will significantly reduce the power consumption, as there is no requirement for aeration. Space: Anaerobic digester reduces the space requirement by reducing the aeration tank sizes. Sludge generation: Anaerobic treatment process converts COD to biogas which results in less sludge generation. Chemical consumption: Since sludge generated is less with our offered system therefore polyelectrolyte requirement for de-watering sludge also get automatically reduced. Biogas for Boilers: Methane rich biogas will be produced during anaerobic digestion which can be utilized as a source of energy or as a fuel to boilers. No comments were found for Effluent Treatment Plant (Distillery Effluent) Distillers Ltd, Trinidad.. Be the first to comment!